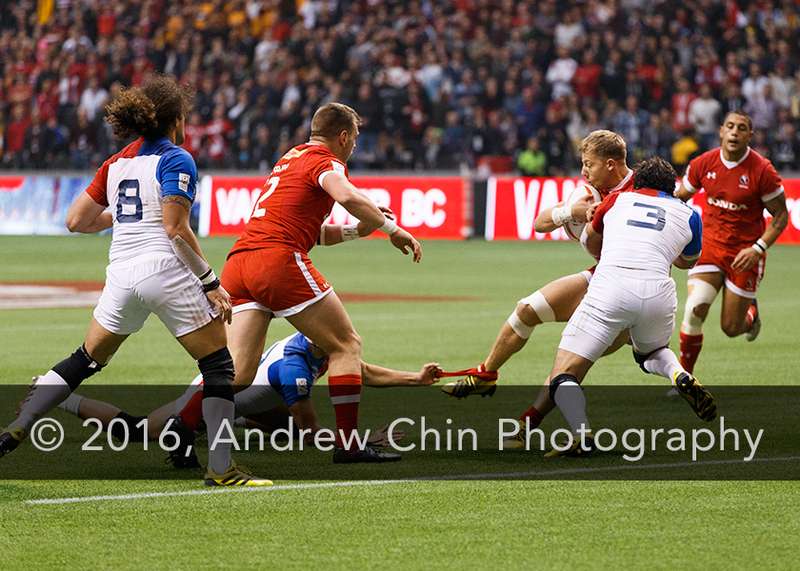 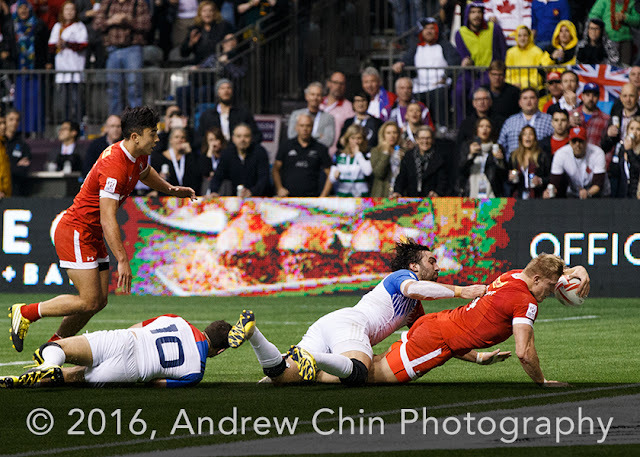 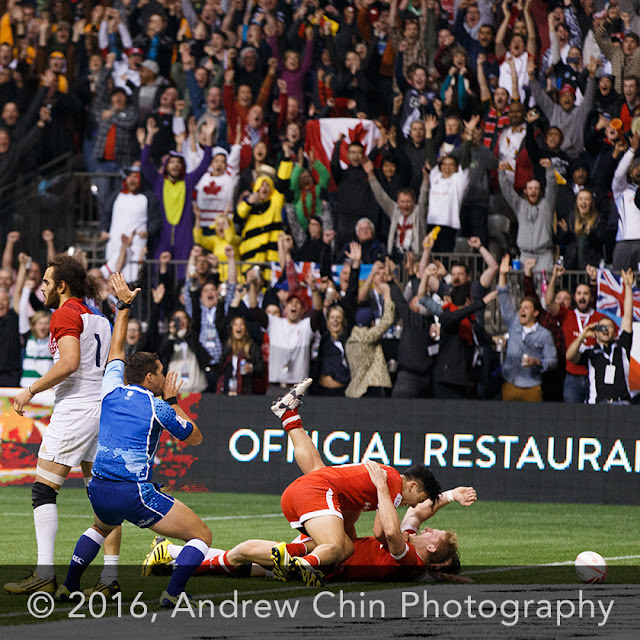 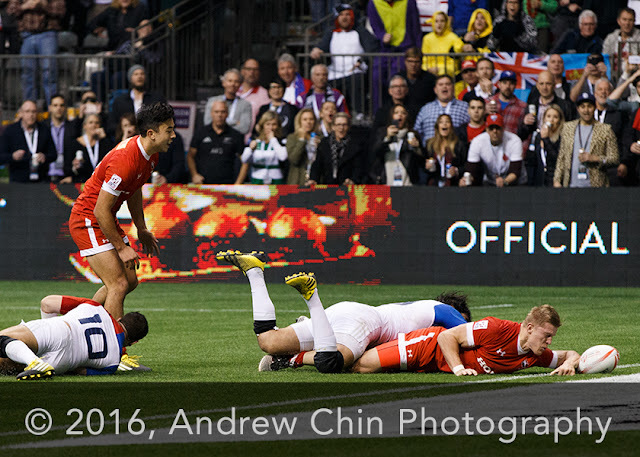 VANCOUVER, BC - MARCH 13: France (White) vs Canada (Red) during the Bowl Final of the HSBC World Rugby Sevens Series at BC Place Stadium in Vancouver, BC, Canada. 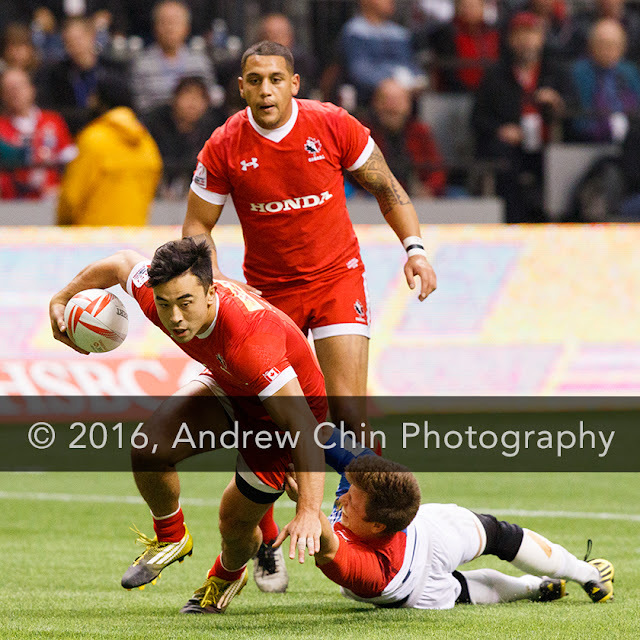 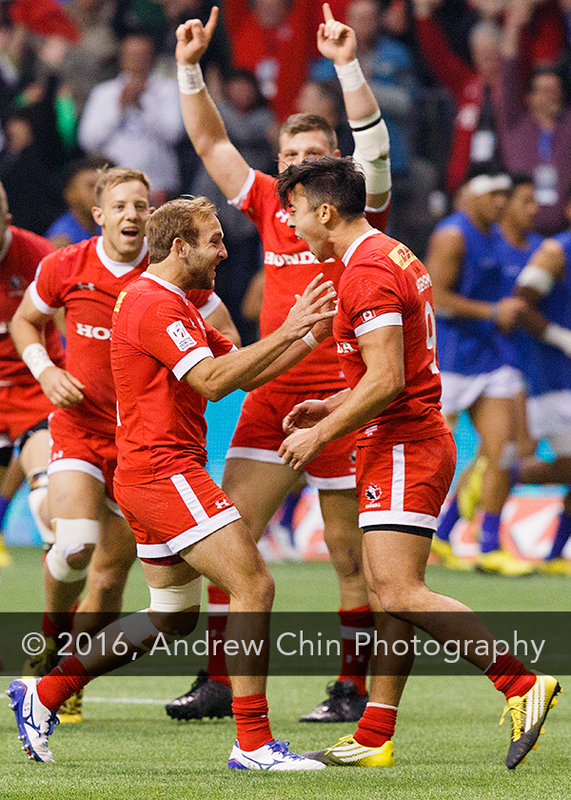 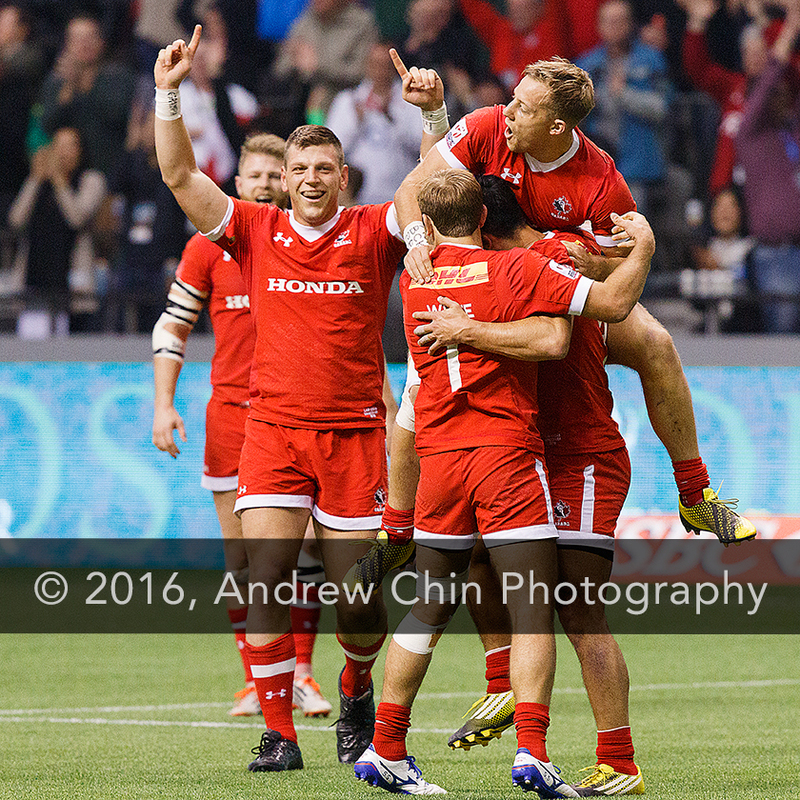 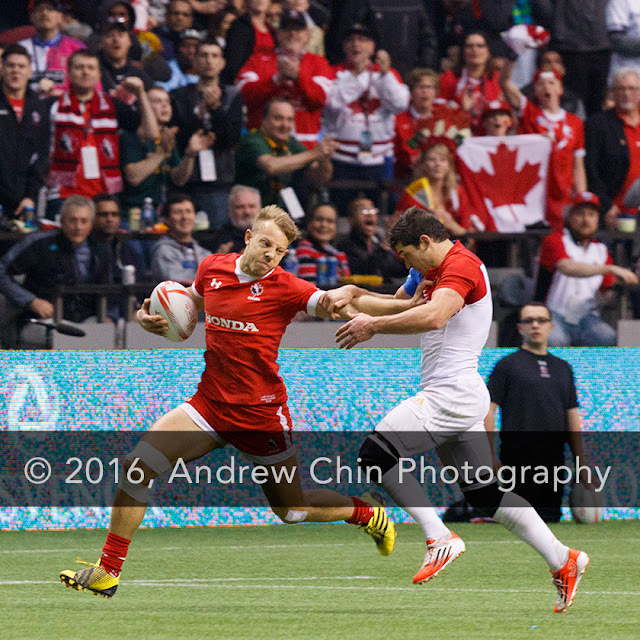 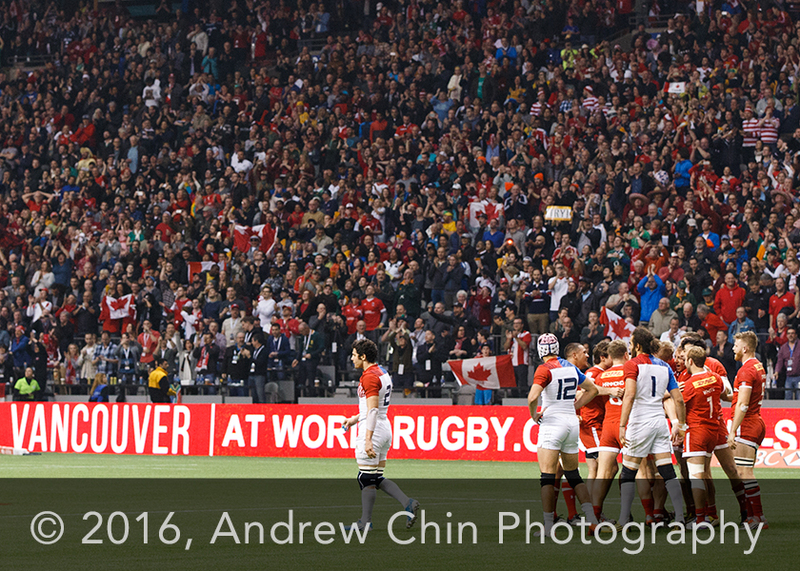 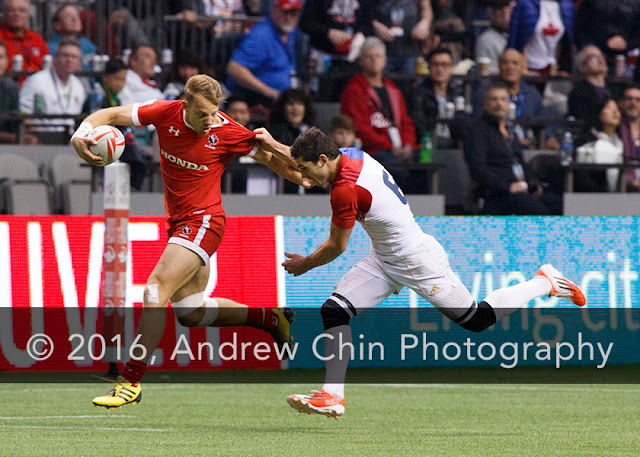 Canada won 19-17. 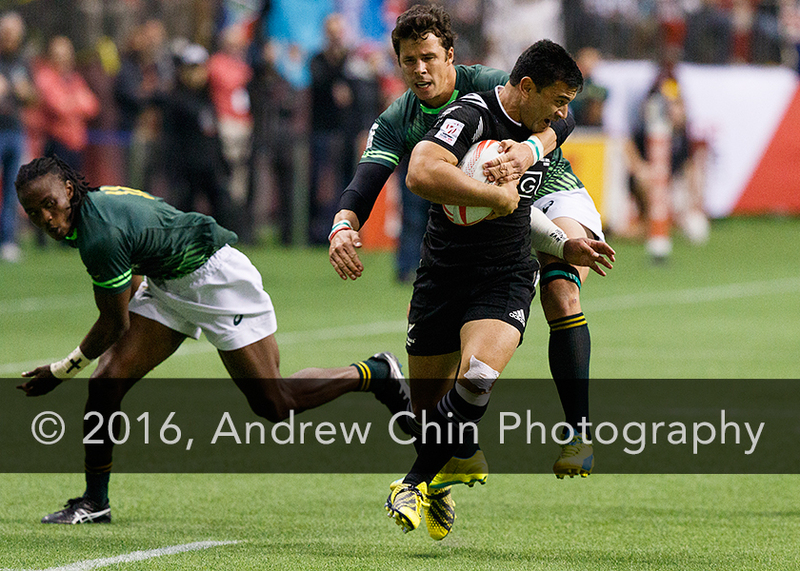 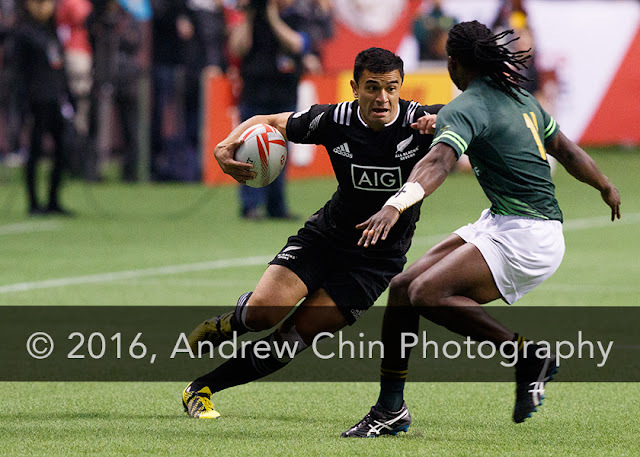 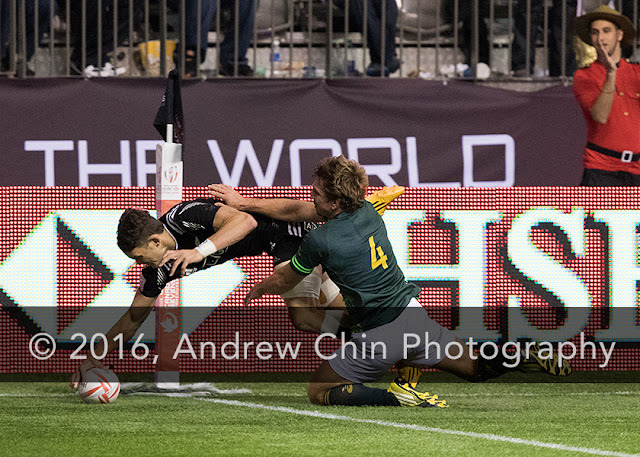 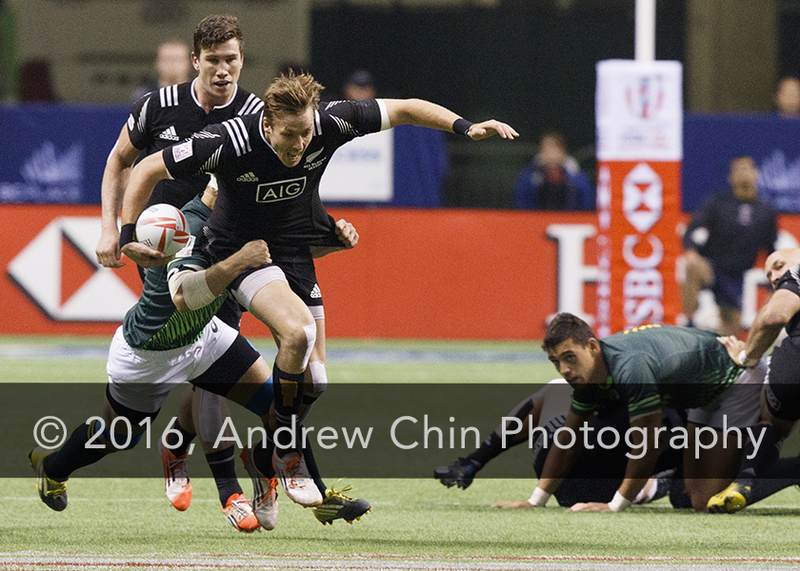 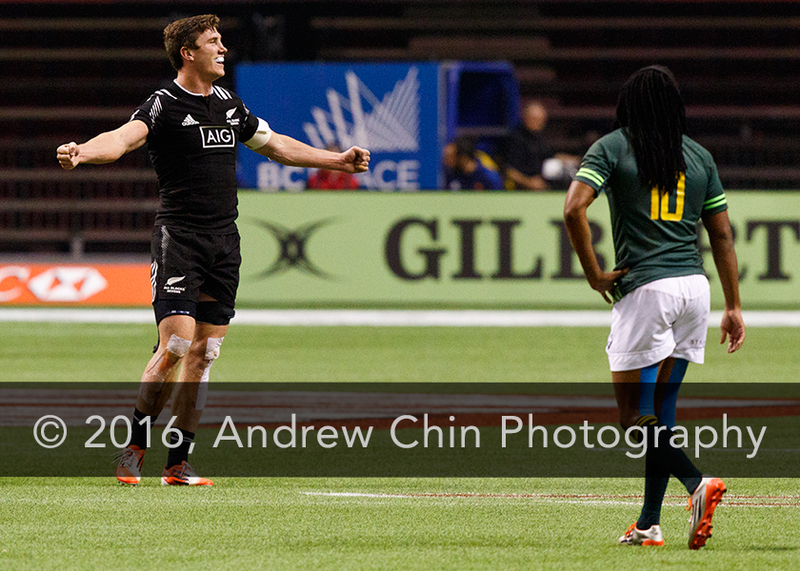 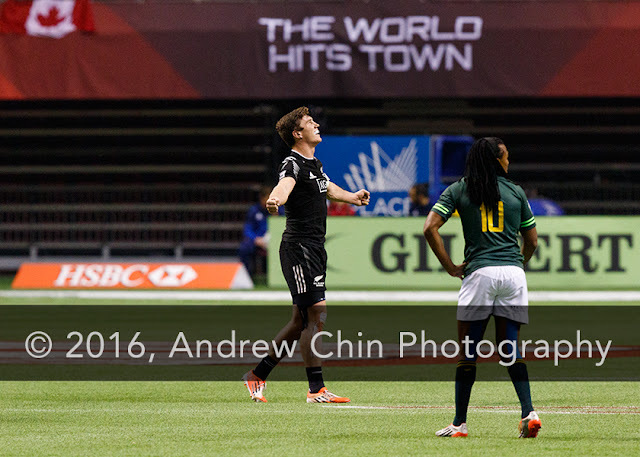 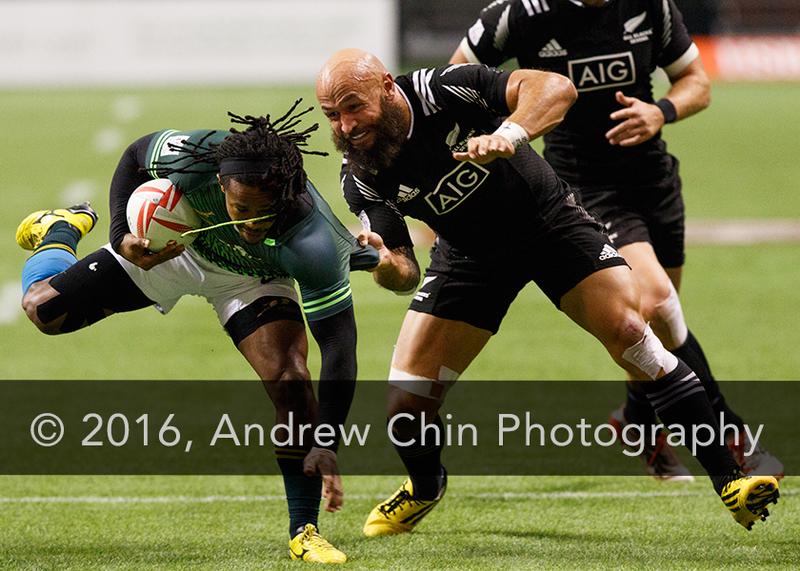 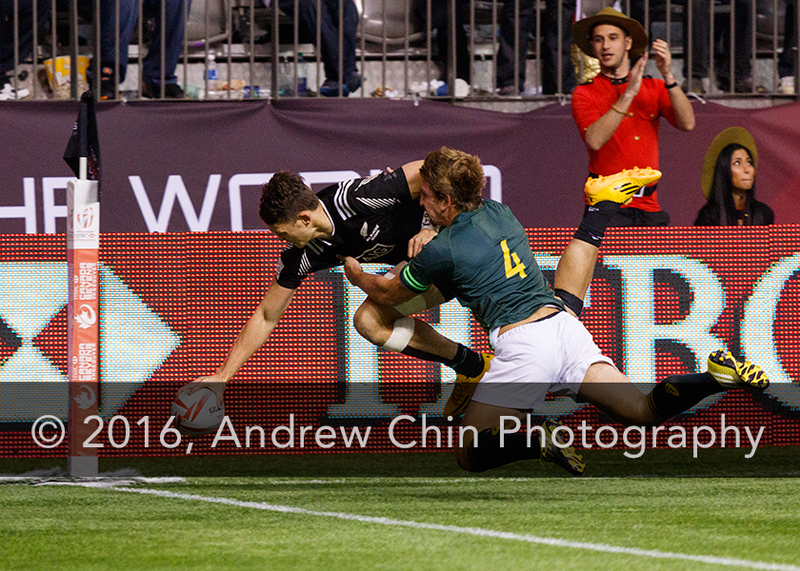 VANCOUVER, BC - MARCH 13: New Zealand (Black) vs South Africa (Green) during the cup final at the sixth round of the HSBC World Rugby Sevens Series at BC Place Stadium in Vancouver, BC, Canada. 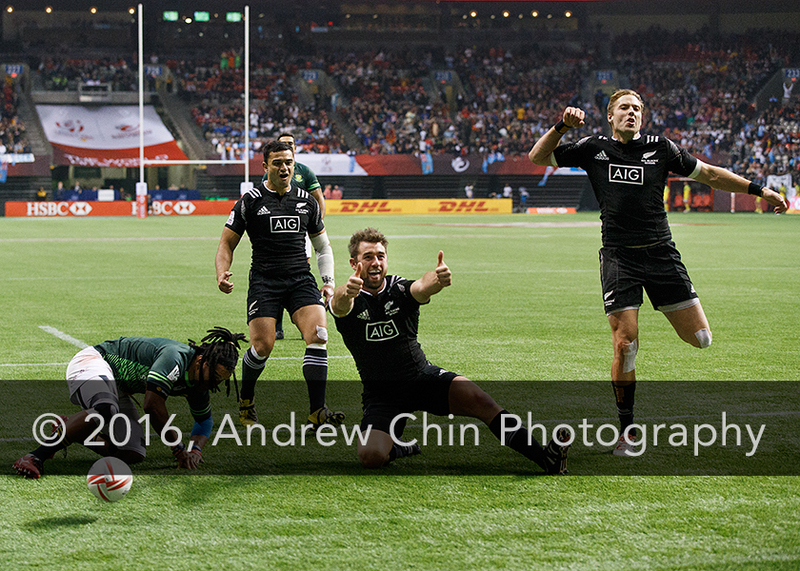 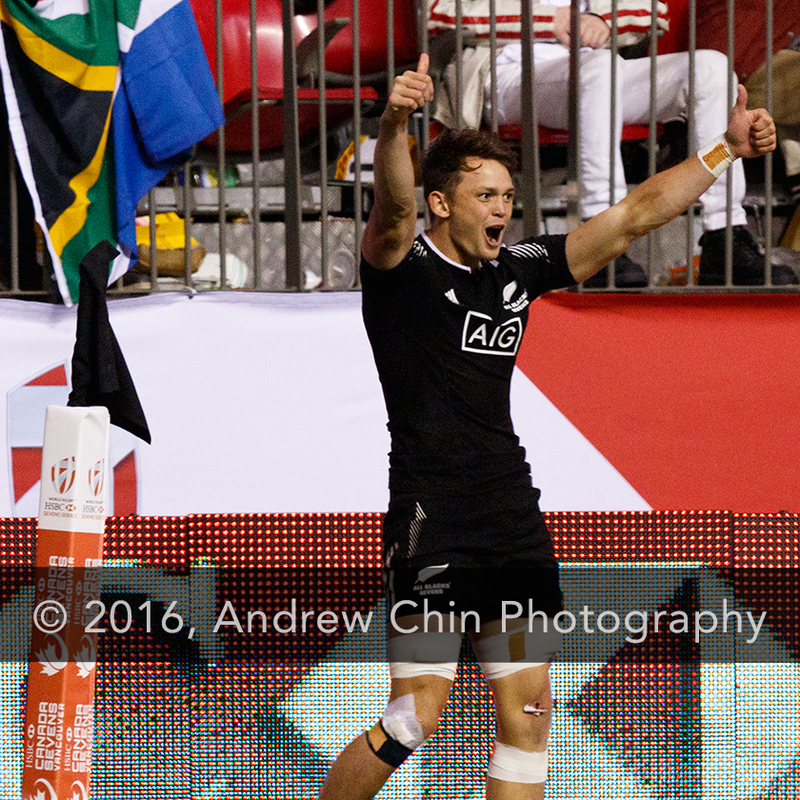 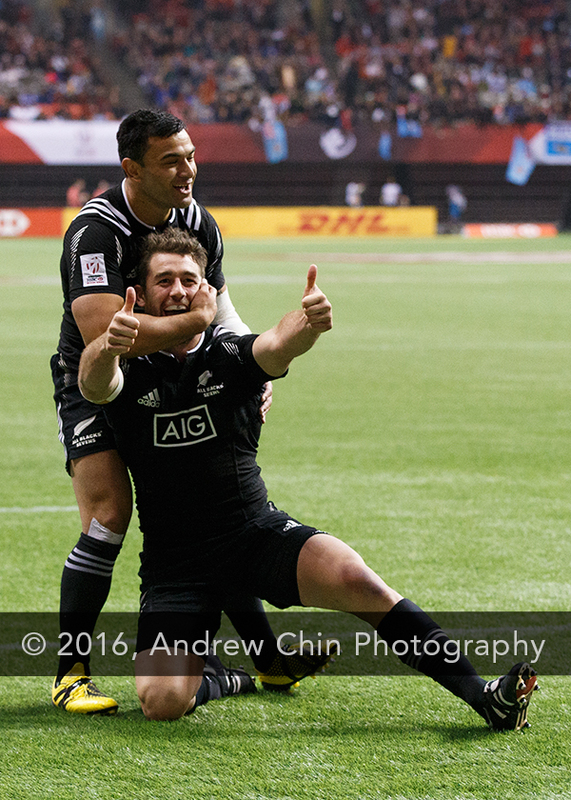 New Zealand won 19-14.